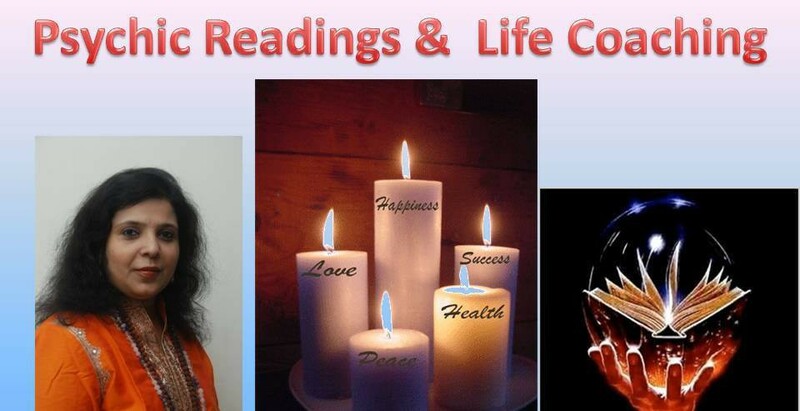 Mentor, Tarot Card reader and Spiritual Healer. How to tell when Angels are around you! Guardian angels are personal messengers of peace, wisdom, and insight. They are always with you to support and help you find the light, even in the darkest of places. While you can spend years and years learning how to channel messages from angels and fine tune your ability to connect with the Divine, your guardian angels are connecting with you – providing you with wisdom, direction, and angelic energy – and you don’t have to do anything at all. Many of the times that I have connected with or noticed my angels – I wasn’t doing anything particularly spiritual. Last week, I went, as someone’s date, to a wedding. I was pretty grumpy about it – because it was a beautiful fall day and I wanted to be on a hiking trail. As I was grumpily sitting in the church pew, out of the corner of my eyes, I noticed two giant flashes of bright light, and when I did ‘tune in’ to see who it was – I realized these were angels – not just with me, but with everyone there! Instantly, I realized how miserable I was being, my mood brightened, and I even pointed their presence out to a few of those around me. After I connected with Angels that day, I decided to write this article and share. . .
Angels will often appear as bright flashes of light that you can often see with your regular eyes (in addition to your third eye). Occasionally, Angels will appear as colored lights, but other times not. These flashes of light can appear to you, usually in the peripheral of your vision, at or above eye level and can look like a glare off of a mirror (with no sun around! ), or a bit of glitter, or kind of like a bright white smoke! P.S. This is also a sign you have clairvoyant abilities! Many times when we learn something, we don’t need to know the information right away . . but whatever we learn comes in handy – always – at some point, in the near or distant future. While your guardian angels can deliver information, guidance and insight to you through friends, books, and classes – they also like to give you direct ‘downloads’ of angelic wisdom. Since you aren’t meant to use the guidance and insight right at that moment, but your angels want you to be aware of their presence – they will give you a sign that angelic information is being delivered to you – to be stored in your consciousness for later use. This angelic download, while often not available for you to understand or comprehend right then can be experienced. For most of us, this experience is a ringing in the ears. It can be almost silent, nearly too loud, sound like a bell, or reminiscent of a buzz. Sometimes, it may even feel similar to your ears popping! This sound comes from your angels, providing you with information, to use at a time when it is necessary :). If the ringing is too loud or bothersome, simply ask them to ‘turn down the volume!’. They will. The ability to hear this sound is also a sign you have clairaudient abilities! During meditation or just during the regular work day, you may notice tingling sensations. Guardian angels will often connect with your energy, and when they do, it often can feel like a tingly or buzzy feeling – because they are lifting your energy as they connect! While I notice this sensation near the crown of my head, you may notice the sensation of your angels near your shoulders, the back of your neck, or your upper arms! Guardian angels like to remind you of beauty – especially when you are having a hard time seeing it. When was the last time you were sad, upset, angry, or a grouch . . .and suddenly noticed a beautiful sunset, a butterfly, a blossoming flower, a line of geese flying overhead, a warm breeze, or a baby playing? Angels are the masters at helping you snap out of this lower state, and assisting to bring you back up to a higher vibrational state – and many times, all it takes is one sign! Next time, remember to point out your beautiful sign, to others – it will no doubt raise up their energy as well! Do you have the ability to provide yourself with guidance, wisdom, and insight, even when you are going through a difficult time? Can you see the lesson in a situation and point it out to yourself and others (even if you don’t want to admit it!)? Do you find yourself offering soulful wisdom to yourself and others? If so, your guardian angels are likely providing you with the ability to step back and observe, watch, and understand a situation. When we do this, we have the ability to carefully guide ourselves and others through difficult pathways. If you are a mentor, coach, or therapist – to yourself and others – you are a light in the world and a messenger of angelic guidance. In fact, there are many times when we allow the angels to speak through us, without full awareness. Anytime you are delivering information and providing support from a more loving and compassionate place, you are connecting with the Angelic Realm. Do you seem to draw people to you that want to tell you their story, and you listen – many times, not saying much at all? Even if you were in the middle of a fight with someone, have you ever just stopped, pulled back, and realized what this person needed was to be listened to? Then, somehow, the fight fizzled out. Guardian angels are the masters at dissolving tension, by reminding you to open your heart and your ears – they will often gently nudge and remind you to have compassion, simply by listening to and understanding others. Your guardian angels are making sure that you are kept safe, secure, and protected, and often times, this means you are pulled out and rescued from out of troublesome situations, just in the nick of time! Been distracted while driving, then suddenly looked up, and drew your attention back to the road, right before an accident would’ve happened? Ever knew something was dangerous or someone was untrustworthy, and then they were? Your guardian angels are protecting you in situations that may have otherwise been dangerous – such as walking alone home at night, or being stranded in a strange place. Just two months ago, my car broke down around 5 pm in a small, small town. With no money to spend the night, I was sure I’d be sleeping in my vehicle until morning – and at that moment, a 4th generation horse farrier (shoe-fitter) showed up – with all the tools in his truck to fix my car. Upon leaving, he handed me a silver dollar and I was back on the road in less than 45 minutes. Naturally, I made sure to thank my guardian angels! Angels will always encourage you to stretch your boundaries, especially when it comes to courageous acts. All courageous acts are acts of pure, unconditional love that require strength and resolve – right in the moment. A courageous act may be simply telling someone else how you feel, exposing your emotions and true nature to another person, or risking yourself for another being. No matter what your courageous act is, whenever it happens, you may have felt like you had no choice, or you absolutely had to do this thing – with no explanation for why or how you did it, you simply did. Your guardian angels knew you were ready to take this leap in opening your heart, and they pushed you to make the jump. When you need strength to tell someone the truth and stand in your nature, despite everything else – ask you guardian angels. They’re ready to help you with this. Your angels are always trying to offer you abundance, but for most of us, when we think of abundance, we think of more money! Often times, rather than giving you money, your guardian angels are providing you with abundance by nudging you to develop natural gifts that you have (intuitive, spiritual, creative, or otherwise! ), providing you with great ideas (that can make you income! ), or providing you with unexpected gifts, shelter, love, and support. Many times, we dismiss offerings of abundance, by rejecting gifts from others or expecting abundance to come in one particular way. When we do this, we are turning down the gifts of the angels! Even if your abundance looks like a simple offer for a co-worker to take you out to lunch – say thank you, and go! This is a gift of abundance. In addition, you may be expecting opportunity to come from a certain direction, such as ways to make new income at your current job, like getting a raise or a promotion. But rather,the angels are giving you ideas to quit your job, and start a business you’ve always dreamed of . . .or write a book! While at the moment this is a gift of a new idea or opportunity, it could lead to abundance in all aspects of your life – self love, satisfaction, fulfillment in your life’s purpose, and a way for you to be provided for without struggle. While you continue to develop your connection with your guardian angels, just take a moment of pause and remind yourself that many times, you’re already connected. Chhath is a Hindu festival celebrated each year by the people very eagerly. This is very antique festival of the Hindu religion dedicated to the God of energy, also known as Dala Chhath or Surya Shashti. People celebrate this festival to offer thanks to the Lord Surya for blessing the life on the earth as ever. People worship the God Sun very enthusiastically and pray for the well-being, success and progress of their family members, friends, and elders. According to the Hinduism, Sun worship is related to the cure of a range of diseases such as leprosy, etc. The rituals at this day is to wake up early in the morning, take a holy bath in the Ganges and keep fast for whole day, even people do not drink water and they keep themselves standing in the water for a long time. They offer prasad and aragh to the rising sun. It is celebrated in the various states of India like Bihar, UP, Jharkhand and Nepal. According to the Hindu calendar, it is celebrated at 6th day of the month of Kartika (month of October or November). At some places, Chaiti Chhath is also celebrated in the month of Chaitra (March or April) few days after Holi. It is named as chhath because it is celebrated at the 6th day of the month of Kartika. Chhat puja is very famous in the Dehri-On-Sone, Patna, Dev and Gaya. Now, it is celebrated all over the country. The Chhath festival is marked by celebrations and rituals last for 4 days. The devotes take dips in the holy water of the river Ganges to wash away their sins. The second day, devotees observe a fast for the whole day and break it in late evening after performing the Puja.This day people offer kheer (rice pudding) and fruit to God and then share it with family and friends. On the 3rd day, devotees prepare the prasad (offerings) at home. In the evening they go to a riverbank or pond where the prasad is offered to the setting sun. On the 4th day Prasad is offered to the rising Sun God. The devotees then break their fast and the prasad is shared with all the people around. The joyous and colorful festival of Chhath Puja is celebrated with great zeal by the people. People sing beautiful folk songs, wear nice dresses, keep houses and streets spotlessly clear to mark the festival. 10 TIPS ON HOW TO ATTRACT MONEY & ABUNDANCE THIS DIWALI! A very important way to attract money is to respect what you already have. Dont criticise the situations and money lack. Just be grateful from today what already you have.It’s is very important to respect all your money and financial assets, otherwise even if you won the lottery tomorrow, you will be spending all your money recklessly. 2.BE AWARE OF WHAT YOU SAY — YOUR WORDS MEAN A LOT. Stop talking negatively about your financial situation. Complaining about it again puts you into this negative vibration.Your vibe attracts your tribe. Only talk about your finances if you have something positive to say about it, for example, if your money situation is improving. Repeat daily over and over these two powerful prosperity affirmations — both out loud and also silently to yourself: “I am connected to an unlimited source of abundance.” “I bless and prosper everyone in my life and everyone in my life blesses and prospers me.” And then live as though these affirmations are both true in your life — because they are! “It’s expensive”, “I cannot afford it”, “I will buy it when I have money…etc …etc. When you do this, you are kicking money away from your life. Here’s the Strategy I recommend you do for the next 90 days. If you do find something, you would like to have, say, “I’m going to have this in my life”,and walk out without looking at the price tag. Why don’t you look at the price tag? 4. 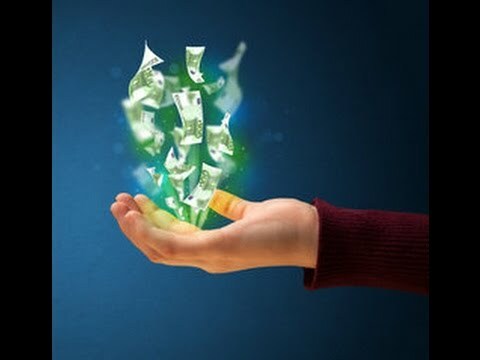 Attracting Money is a skill that anyone can master if you work with the universal laws and not against them. For attracting anything in life you need to be in alignment with the law of vibration& law of attraction. You must have noticed that things that seem problematic are those that cannot be controlled by you. Money is one of those things that is not in the control of individuals. If you can understand the nature of money and how it works, money will not be a problem and you will become a money magnet . This tool is extremely efficient, as it helps you get the determination and motivation you need to achieve your goals. Try to visualize your goal (in this case, your money-making goal) a few minutes a day or before sleeping daily and you will slowly start to notice how it recharges you with energy and determination. 6. Love money without obsessing over it. Many people who do not love money because they do not have enough, how are you going to attract something you do not love? Remember that everything you devote your attention, energy and focus to gets attracted towards you. So if your attention, your energy and your focus is on you do not have enough money, then you won’t be able attract what you want i.e. money. Do not ever think and give energy to thoughts like i dont have money etc.. Be in postive vibration. Make a list of 100 things you would be, do, or have if money were no object. The length of the list stretches you out of scarcity thinking. The items on the list put what you want on your radar. Wish lists are magical. Through a mental process called Reticular Activation, your mind will start to discover opportunities to manifest the items on your list that may have been invisible to you before. Notice how things on your list will “show up” with the means to pay for them! Try it once with faith and no doubt, surely you will thank me for the whole of your life. 8.Everything is Energy. Each and everything surrounding us is energy. Likewise Money is also energy. Feeling money a negative thing and talking about it negative will never let you attract money in your life. Be positive about money. There is no harm in thinking about money. Whatever you make your dominant thought in life , You will get it.Be really sure and positive about money for becoming a money magnet. 9.You have that big goal and it feels really good when you take the time to imagine it completed, right? But every time you tell yourself today is the day that you are going to get it started you begin to feel overwhelmed and end up putting it off yet another day. This happens to the best of us when we fail to chunk that big goal down into “bite size” pieces, small actions that we can take, on a daily basis, that will bring our goal into physical manifestation. Research has shown that people that write down their goals, and the actions that need to be taken, are far more likely to accomplish their goals then those who do not. Each night before you go to sleep write an “action list” of those top six things you are going to accomplish the next day. The next day keep that list where you can see it – and cross those actions off as they get accomplished. And watch your goals begin to materialize right before your very eyes. 10.See the things that you want as already yours ( Money, car, villa, good health, healthy relationship ) Know that they will come to you at need. Then let them come. Do not fret and worry about them. Do not think about your lack of them. Think of them as yours, as belonging to you, as already in your possession .